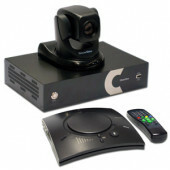 Clear One Video Conferencing System unites people despite distance. 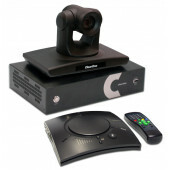 The plug and play set-up of this audio and video conferencing system makes for easy upgrades and flexibility. 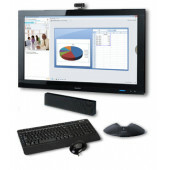 Clear One video conferencing system makes data sharing easy with built-in sharing software. It also includes the Daisy Channel HD Conference microphone (expandable to 6 microphones) with 360 degree coverage that reduces echoes and background noises. 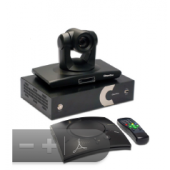 This systems allows users to record meetings and stream unlimited video and audio to an infinite number of people.